Sturdy unbleached GOTS certified drill fabric. Our organic drill is a sturdy and durable fabric suitable for a wide range of uses including homeware, soft furnishings and upholstery. As a GOTS certified fabric, it is ideal for customer who need organic fabric printing. The fabric has a diagonal drill weave and the fibres are unbleached providing a natural organic print base. As the fabric is unbleached it can contain some imperfections which can add character and depth to a print. 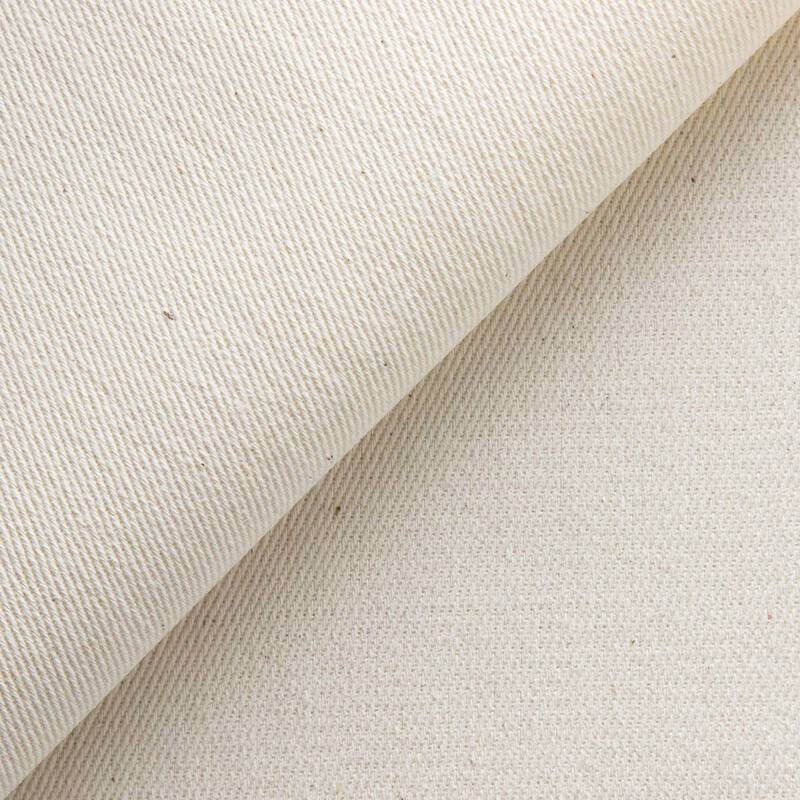 All our cotton fabrics have been pre-treated to offer excellent wash fastness and durability. Wash on a delicate machine cycle at 30 °C / 85F. Delicate tumble cycle on a low heat. Iron on a medium heat using steam, ironing print side down for best results. Line dry. Drip dry. Do not wring.